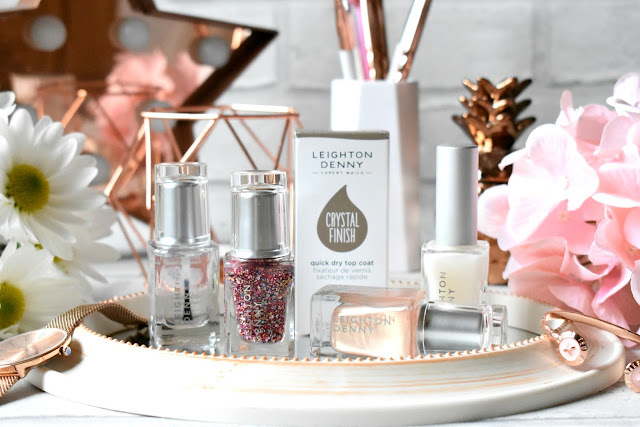 When it comes to nails Leighton Denny are where the parties attttt... They have so many pretty colours and finishes to choose from and their new Spring/Summer collection 'Havana Heat' is just gorgeous, who else just let their inner Camila Cabello out.. 'Havana, ooh na-na'! 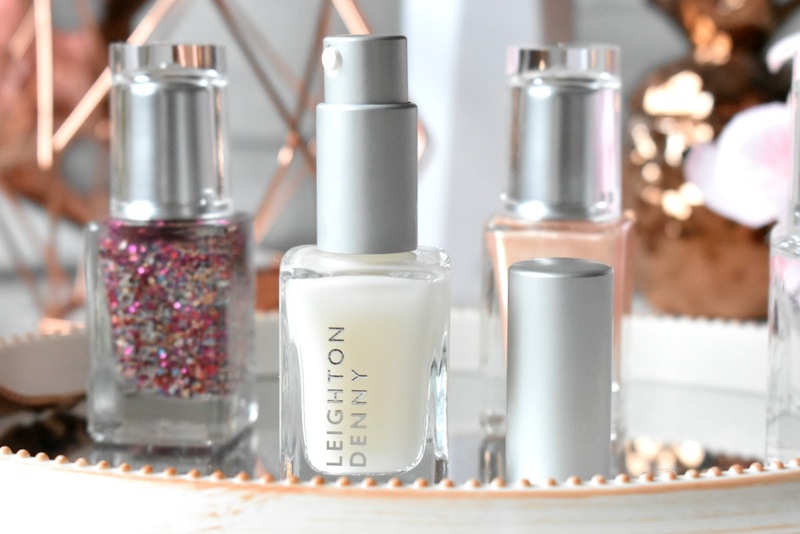 The Leighton Denny Havana Heat Collection consists of six shades all of which have been inspired by the colours, sights, and fiestas of Cuba’s capital city, think bright, tropical and eye catching. I've been giving the shades Street Dance* and Mariposa Pearl* a whirl and I have to say their so pretty. 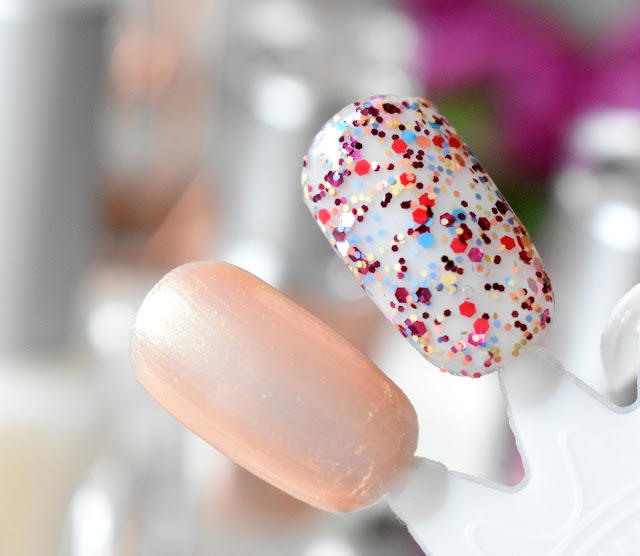 Street Dance is literally a party in a nail polish pot, it has a clear base but is jam packed with all different sizes, shapes and colours of glitter, and after a couple of coats it literally takes any manicure to a whole new level, it's stunning! Mariposa Pearl is probably the most subtle shade within the Havana Heat Collection, it's a light peachy-gold shade with a pearlescent sheen to it, you need about three coats of this one before it's completely opaque but it looks super cute on the nails and perfect if you want something a little bit understated. I always try and finish any mani with a top coat but I HATE the drying time but that's where my Leighton Denny Crystal Finish Top Coat* (£12.00) comes in, I love this one because it's a quick drying top coat so dries in no time at all, yasssssss... It also leaves my nails looking super glossy as well as sealing my mani into place for a lot longer. 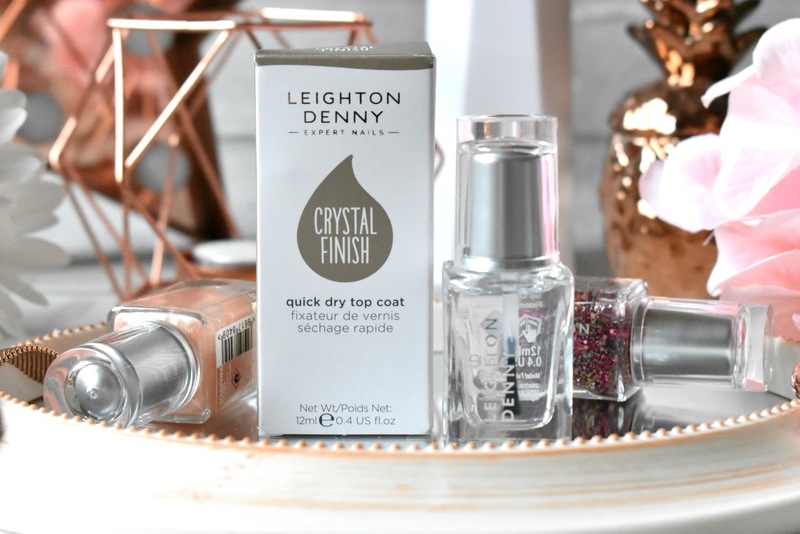 Something else I've been trying by Leighton Denny is their Bio-Build Serum* (£12.00), this stuff intensely restores moisture, rebuilds the nail structure and strengthens each layer of the nail to bond them together and creates a more resilient nail. 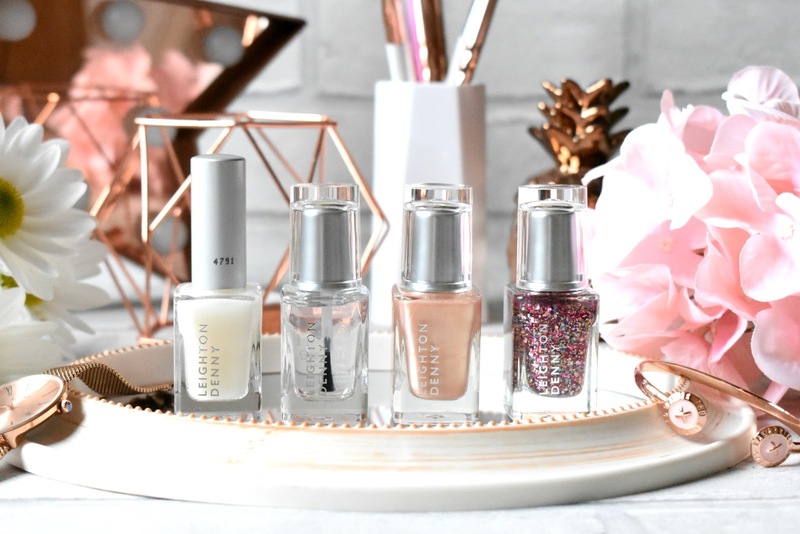 This is such good stuff and perfect for my nails because they are so weak and break so easily, and my cuticle area is always so dry but I've noticed a huge improvement in the quality of my nails since using this gorgeous stuff. I just massage a tiny drop into each nail every night before I go to sleep and it works wonders, I cant believe I've never tried anything like this before seeing as the quality of my nails has always been so bad. 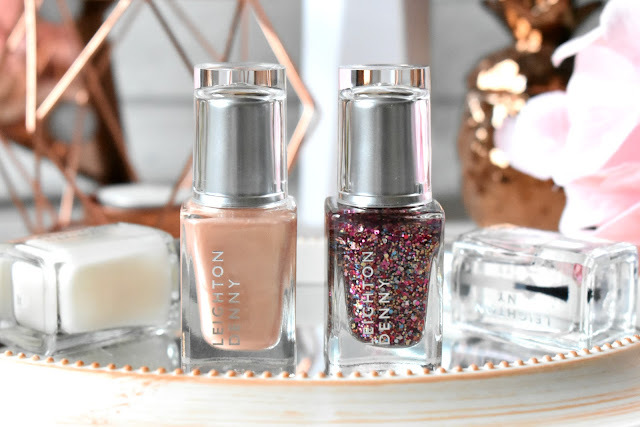 You can find the Leighton Denny Havana Heat Collection for £12.00 each HERE. Get Glowing Skin On A Budget! 10 Cheap and Cheerful Blog Props I Swear By! Getting Your Feet Spring & Summer Ready!